Never Mind, the Handmaid’s Tale Wine Has Been CanceledGuess we’ll have to toast our imminent reproductive dystopia with non-branded wine now. And The Handmaid’s Tale Wine Has Already Been PulledUnder his side-eye. The Most Embarrassing International Women’s Day Publicity StuntsBrands … thank you. Why Top Brands Don’t Want to ‘Make America Great Again’It has become “nearly impossible to effectively build a cool urban lifestyle brand” without distancing your company from Donald Trump. 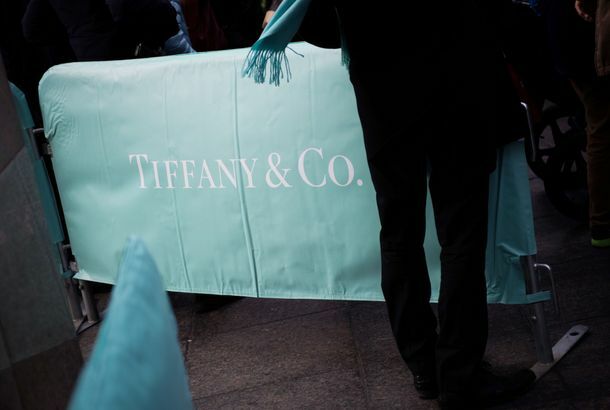 Tiffany & Co. Unveils Branded Barricades by Trump TowerThe flagship’s proximity to Trump Tower has posed problems for the store. Grown Adults Prostrate Themselves at the Altar of ‘Kendall + Kylie’What was the Kendall + Kylie Fashion Week event? No living person knows. The Kardashians Are in Trouble Over Native AdsRemember to label your sponsored content! Don’t Worry: Guy With Instagram-Inspired Tattoo Is Fine After Logo ChangeThis could have been really awkward. So Volkswagen’s Betrayal Broke Your HeartThe psychology of beloved brands gone bad. The Man Who’s Branding the Dadbod LifestyleCJ Cardenas wants to bring the world Dadbod Beer. Tax Day Is the New Black FridayBrands are trying to make a new non-holiday retail event happen. Barnes & Noble’s New Business Strategy: Fancy Plastic BagsAmazon may have cheaper books, but they don’t have plastic bags. Socially Anxious People May Avoid Prestigious BrandsThis all sounds pretty exhausting. Why Brands Tweet ‘Bae’The evolution of a horrible social-media trend. You’ll Betray Your Favorite Brand Pretty EasilyExperimental evidence for #brand #disloyalty. Do Brands Make People Less Religious?Some weird new study results. SpaghettiOs’ Pearl Harbor Tweet Won’t Live in Infamy, ExactlyBut people sure are talking about it today. November Elle U.K. Includes Feminist AdvertisementsTop agencies “re-brand” feminism. Are Home Depot Totes the New Hipster It Bag?This is what happens when bright orange things get discontinued. Alessandro Dell’Acqua’s Not-So-Subtle Sandbagging of Alessandro Dell’AcquaThe designer makes a break with his own brand in a letter to press.